Virgin using BA style “Dirty Tricks”? 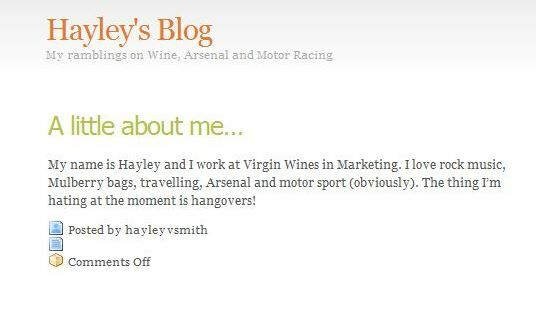 Virgin responded by saying nothing and blocking Hayley’s twitter account. Reminds me of the good ole days at Virgin when BA were telling passengers not to fly with Virgin! You do realise that could be construed as a criminal offence under the consumer protection act? I think that you may have the proof and since it maybe damaged your reputation to that consumer and possibly lost you the sale I’d read the legislation, see if the tweeter chose, and publicised why, some other firm on Twitter and then see a lawyer for proper advice. It may cost more than it is worth for the lawyer and whatnot but it’d teach them a lesson. I’m not a lawyer but maybe if it went to court and resulted in a successful prodesution and she got a criminal record it would haunt her for the rest of her career and I’m not sure if one consumer would be enough but I AM NOT A LAWYER. Brilliant! Nice work detective Gormely. I always find it amusing how marketing ‘experts’ manage to put their foot in it so easily. That’s really cheeky of Virgin! Tsssk. Wow,Hayley’s reply, not shocked as it happens in every field of work. Well I have only had exceptionally good wines from Naked wines from various winemakers on the site. To dismiss an entire wine company as rubbish is indicative of the intellect of the person writing it, not to mention totally dismissive of the countless people who are buying over and over again from Naked Wines. 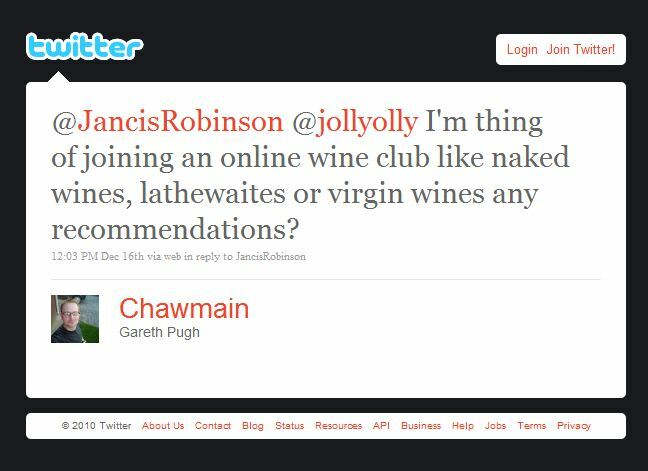 I buy Naked Wines all the time – truly good value and superb wines. I wouldn’t go anywhere else. Oh and did I mention the Customer Service – Second to None!! Their Innovative Approach to the whole area of purchasing wines is refreshing and deserves nothing but accolades! Honestly, you have posted this on twitter and facebook a few times now and it’s ridiculous. One tweet from someones personal twitter account does not equal Virgin using BA style Dirty Tricks. Seems to me you are reading way into it. It simply says she has had wine from both and would reccomend Virgin as she thought the wine she had from you was ‘rubbish’. Maybe it was in her opinion, her mistake was making a comment on twitter which no doubt she won’t be doing again I expect. Well done Rowan the social web needs to be self policed. I don’t think its Virgins plan to do this deliberately someone from virgin thought “hey I can be clever here”. The trouble is that it is being open and honest that works in social media so if dishonest and clever can describe your next tweet you shouldn’t send it.